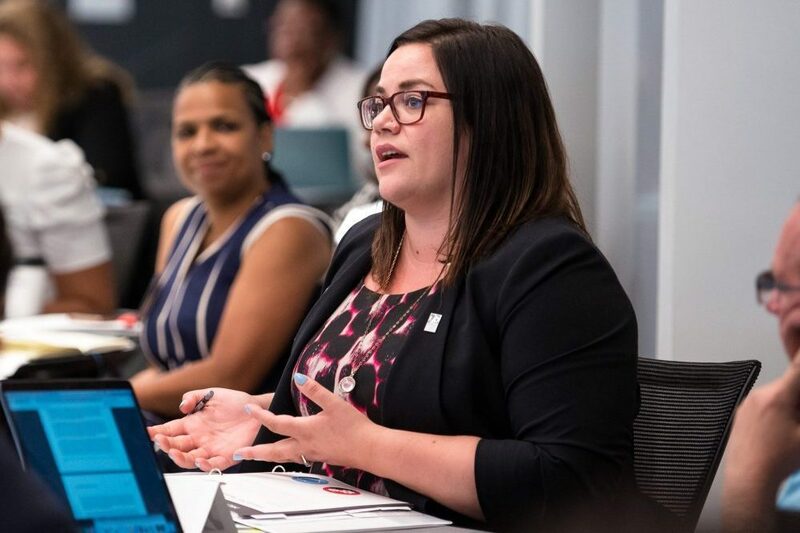 Neubauer Fellows and Veteran Principals, Lauren Overton and Michael Farrell, led a discussion during the first week of the Philadelphia School District’s bootcamp for new principals. On Tuesday, they talked about creating safe environments for LGBT students. With more than half of all gay, lesbian and transgender students nationwide saying they feel unsafe at school because of their sexual orientation and 43 percent saying they feel unsafe because of their gender expression, the discussion feels vital, said the two veteran principals who led the discussion. All staff members are required to have training on the policy. But in reality, the application can be uneven, said Overton, who remembers some colleagues uncomfortable with the policy saying things like “boys are boys and girls are girls” aloud when it was first explained three summers ago. The Tuesday session was aimed at translating a piece of paper into practice, said Farrell and Overton, both principals of high-performing elementary schools with a population of transgender and gay students as young as second graders.